In Georgia, the opposition parties are vowing to bring thousands to the streets to force the President out. They claim the authorities are running a smear campaign against them. 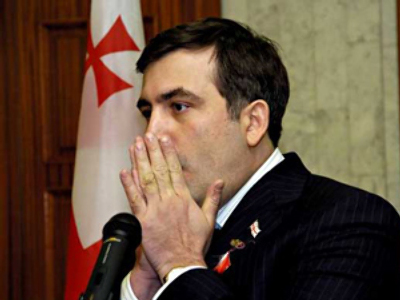 During the Rose revolution in 2003 many Georgians rallied for Mikhail Saakashvili. They now say that even though the president has not lived up to their expectations, there is no one they can trust among the current opposition either. Today, the majority of Georgians live in near poverty. To them, dozens of opposition parties and factions matter little. But on April the 9th, on the 20th anniversary of a Soviet crackdown on a pro-independence rally when dozens died, the opposition is planning to bring hundreds of thousands. They say they will outnumber the protest of November 2007, and this time they say they won’t quit until Saakashvilli does. Georgian authorities have released a video this week showing alleged members of the opposition buying weapons and discussing a plan to stage a coup d'Etat. 10 people have been detained on these allegations so far. Once Saakashvili’s fellow revolutionary, but now his strongest critic, Nino Burdzhanadze says the opposition is under attack. Irakly Alasania laid low during the conspiracy scandal. Georgia’s former UN representative, he turned on Saakashvili in December over his differences in handling the Russia-Georgia war. He is now deemed the most promising of the opposition leaders to replace him. “For the elections, priority number one for us will be to change the balance of power, and to strip the presidential institution of the enormous powers that it has, and to change the decision-making process in Georgia,” says Mr. Alasania, the leader of Alliance for Georgia. But Saakashvilis’s foes elected to parliament are all staying out of the fight. “They are not real opposition, they are ruling party satellites. They call themselves opposition, but they criticize us, not the authority, there is no real parliamentary opposition neither in Georgia, nor in Russia,” according to Conservative Party leader Kaha Kukava. As if the the opposition camp is not divided enough, there are also those who are calling on the ancient royal family to reign over Georgia without a president at all. Following a disastrous war with Russia, and with Georgia’s economy shattered, they say they need a change in leadership like never before, even if it takes another dark imprint on Georgian history to accomplish that. 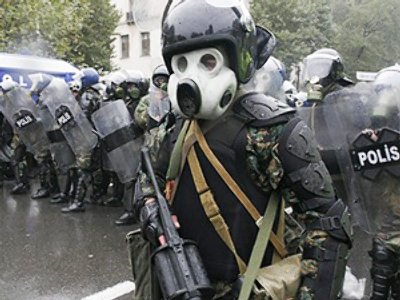 Saakashvili has vowed to stay in power until 2013, and of course, he has survived protests far bigger than this one. But many here feel April 9 will be different. However divided, the opposition has some key figures from Saakashvilis government on their side.